Part 3 of this blog series is all about content creation and how to ensure you are creating good content, the right way. In order to understand what good content is, we must follow Google’s quality guidelines. These guidelines have become increasingly strict, due to the Panda algorithm updates, which are created to ensure the Internet has high quality, meaningful content to create the best user experience for humans. The algorithm keeps updating every so often, so it is important you stay on top of things to make sure you are not violating any guidelines that could cause a penalty to your website. Before the first Panda update in 2011, there were not many limitations on what sort of content could be published on a website. Length of the content did not matter. Canonicalization, which prevents duplicate content across different websites, was unnecessary. Stuffing keywords into the content for no reason was fine. In this day and age, these are certain aspects of content creation that are frowned upon in the eyes of Google. As Panda has been continuously updating the algorithm, there are more and more limitations on what you can and cannot do and it is important to make sure you follow these guidelines to avoid penalties. Content must be greater than 300 words. If you have duplicate content, only one of those should be indexed. Content needs to be original and trustworthy. It is a great idea to cite other thought leaders to ensure trustworthiness. Keyword Stuffing is not an ethical SEO tactic. These seem like pretty easy guidelines to follow, but if you had a website pre-Panda that has not updated its SEO, this could cause trouble. Make sure you are going through all of your content to ensure it is up to date with the latest Panda updates. How Can You Tell It Is Low Quality? There are several different ways you can tell if you have low quality content. The easiest way is to trust your gut. If you feel as though your content is iffy, then it probably is and it is time for a deeper dive into your content. 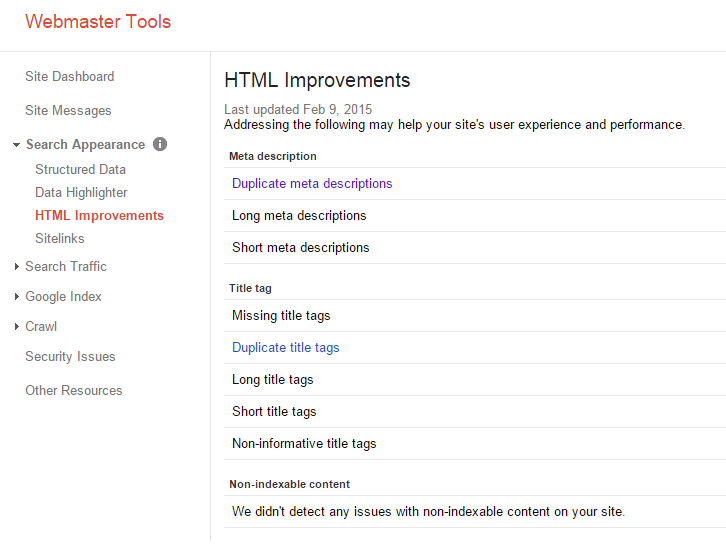 Google Webmaster Tools will first off, give you an idea of if your titles and descriptions are being duplicated. Additionally, if the titles and descriptions are duplicates, there is a large chance they are duplicate pages. You can find this information under Search Appearance>HTML Improvements. Also, if you go to a particular page, copy the first few sentences from the page and Google that, you can see if there is anywhere else on the Internet that has those few sentences word by word. This means you need to update content to avoid duplicates. Combine similar short pages into one page. Use robots.txt to hide any low quality or duplicate pages that I want Google to overlook. Use canonical URLs to deal with content that is across many different pages. For more information on canonicalization, visit this link. Go through all of your site’s content and re-write until it is print quality. If you are not hosted on the HubSpot COS, make sure HubSpot tracking has been installed on all pages. When in HubSpot, navigate to reports. View pages in HubSpot, or Click Export. I like to export them so I can have a better view of my content. By doing inventory, you are able to see which pages are old, have low quality content, or are too thin and then take the correct measures to update your website for Google. Harvesting your old content can allow you to refine it to ensure it is high quality. You can also harvest old videos and leverage them for new, fresh information. Because of the guidelines being so strict, cleaning up your content is vital for a successful SEO campaign. Panda has been very destructive and if you are not careful, you could get penalized. Throughout the years, Nicole has attained many different skills that have helped her get to where she is today. She studied at the University of Denver where she received a major in digital media studies and a minor in marketing. 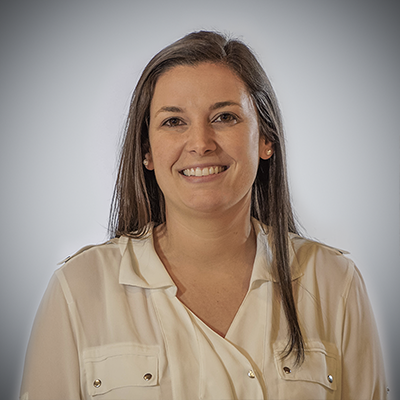 As a beloved former employee at Revenue River, she helped to build our SEO team to be one of the best within the world.